Poll results: Apple iPhone 4S battery-gate: Is it real? This year, shortly after the iPhone 4S launched we seem to have not one, but two problems. The first one is the fact that on many handsets, the screen comes with an unnatural, yellow tint with the difference in quality visible and even more so when you look at the screen from an angle. The second one is what we asked you about in our survey on Monday and it's all about a significantly decreased battery life on the iPhone 4S and also on other devices after the update to iOS 5. Sadly, it seems that the majority of you have experienced the same issue. 480 of you, or 46% of iPhone owners surveyed, said that they experienced the same problem on their iPhone 4S. Another, 223 or 21.5%, voted they had battery troubles on their iPhone 4/3GS after an update to iOS 5. Overall, that means we have a total of 67.5%, more than two thirds of all iPhone users, reporting this problem. The remaining third of the users didn't experience the same issue. Those results should definitely ring an alarm over at Apple as the issue definitely needs to be addressed. So far, various users at the Apple Discussions forums have reached different solutions for themselves, but for some the issue remains unresolved. The range of solutions goes from resetting network settings, looking for corrupted music files which might clutter iCloud communication or even restoring to default settings via iTunes. So far these are the suggestions, but we thank you for participating and be sure that we'll keep you posted about a solution as soon as we get more information on this. Hmmm... so that certain 'member' (mexican food item in name + 50) who said there was no proof for these issues a while back... what's the excuse now? Don't believe in polls? Yellow is the new White? based on the number and percentage of anti apple posts on this site, i would not count this poll as incredibly valid (or any on this site). the info is nice to have, but for PROOF of anything i would discount it. it is clear the issue exists, but frequency is still completely up for debate. never trust a poll.. but its a nice reference point. if this were the only site that said members had this problem, you could say its a conspiracy. The problem with that is you have apple boards just littered with masses of people with this problem, so the problem is indeed real. The statement "Android lags too much." is the most ignorant thing I have ever heard. It has little to do with the OS and more the hardware, and the reality is that early Android phones did not have the proper hardware to handle the features provided by the software, resulting in the aforementioned lag as well as force closes. Even as recent as the Thunderbolt, there is still some lag present. It's not huge, but it's there occasionally. BUT the fact that phones like the Galaxy SII are essentially lag free points to what I stated above which is that it is more a hardware limitation than software. Granted there are obviously parts of the software that may or may not be contributing to the "Android lag" but I do believe (and for good reason) that going forward with phones like the Nexus Prime and RAZR it will be a thing of the past. I could be wrong... obviously. Funny, my Kj2 ROM 2.3.5. Captivate has no lag in it......huh??? Sure, if you strip away the bloatware and skin, any Android should run smoother. Blame the manufacturers and carriers, not the OS. In that respect Apple was smart - they never allowed carrier bloat. The person in denial is indeed kshell1, but you were the first to be in denial with the fact that you had to bring up negative aspects on another OS rather than dealing with your own. It does lag, very much? No. Apple forums filled with problems, very much? Yes. or.. your an idiot. amazing that my over a year old galaxyS doesnt lag one bit.. and i keep it underclocked. android lags on crap hardware. you know,, those free phones that you bring up to make a point.. those phones that no one but idiots like you buy? those phones lag. upper end and premium phones that make up the vast vast majority of android sales do not lag. so you dont have a point.. like normal. Remix, I find it funny how they claim that polls should not be trusted or considered yet if this was a poll about android's battery or lag from an update they would be all over it saying "yep see??! told ya so!!!" Gentlemen please stop being fanboys for a second, you can love your iphone but you can also admit it has it's flaws. Everything has it's flaws, nothing is perfect. reality time my friends. I just sold my iPhone 4 on Wednesday. It was updated to iOS5 and the battery was noticeably shorter. I did have a Mophie Juice Pack. Before I could go a whole day and not touch my iPhone 4 battery. 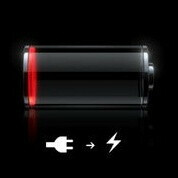 After iOS5 I would be into the iPhone battery by 5-6PM. So in 12 hours I have drained a 2000MAh juice Pack. I now have the Samsung Galaxy S2. Battery life is less, but that is expected because of a larger screen. I also have push on more accounts than before. Let's not get hasty here. For the most part iPhone users will buy iPhones (and I respect those fence-sitters here who buy on merit rather than blind devotion). I don't see Android gaining much more from this 'scandal' than they did from "antennagate". If there is consensus that this is a problem, Apple will likely push out an update to address it. They're not going to sacrifice their customer service reputation out of mere pride in iOS 5. It's amusing to me the amount of hate android users have toward apple. I own an iphone4s and am very happy with my battery life. Yes it's not as good as the ip4 but it sure beats any of the 100 android phones that run for a solid 3 hours before the battery dies. Android users don't hate Apple so much as they hate the people who blindly follow Apple... I honestly think anyone with a brain has to at least respect Apple for what they have achieved. Whether they got there by success, innovation, deceit, stealing, whatever it was is for another discussion but the reality is Apple is a perfect example of how to run a successful business. You're wrong. People on PA discredit everything Apple. This is not everyone but there's a big group here that lives to troll Apple. 3 hours? I am assuming that is an exaggeration. I have a Droid Incredible and I keep my brightness on 100% all of the time, with regular usage and my battery lasts me between 7-8 hours. You're a bit of a hypocrite to say how people with android phones are always hating on people with iPhones, when you yourself seem to jump at the opportunity to say something negative about Android. I merely was being sarcastic. I read ridiculous comments often on iPhones so I figured I'd show how idiotic they look to everyone else. I'm a apple fan for sure. But I also enjoy android a lot. I think they have a lot to offer even more then apple with certain things. Most of those "ridiculous" comments about the iPhones usually aren't ridiculous and are often true... Most of the users that frequent here have only stated facts about it or questioned it. You need to ignore the people who come and go within before the week is even over. If these issues with the 4S are in fact real, what *new* news is it really? Some people must have pretty short attention spans or selective hearing, since phones have problems all the time. All manufacturers, all carriers. If you worship a phone that much like it is supposed to be absolute perfection, you need to get a life. Things break or malfunction all the time.